In the 70th year of Indian independence, the 2 day event in London in May 2017 explores ‘The Idea of India’. British Library partners with the ZEE Jaipur Literature Festival in January 2017 to look at the legacy of the Magna Carta in India. The British Library and the ZEE Jaipur Literature Festival come together in a new partnership to host a series of events in Jaipur and London during 2017. In January the British Library will be part of the programme in Jaipur that looks at the legacy of Magna Carta, including the loan of a facsimile of the 1215 Magna Carta to be displayed on site during the Festival. In May, the British Library will host the London leg of the Festival for the first time. The ZEE Jaipur Literature Festival travels to London for the fourth time with a creative caravan of writers and thinkers, poets and balladeers brought together by co-directors Namita Gokhale and William Dalrymple. Showcasing South Asia’s unique multilingual literary heritage and the Festival’s global programme and appeal, JLF@London is an intense two-day teaser of the original festival, celebrating its 10th anniversary in January, declared the ‘greatest literary show on earth’. Inspired by the 70th anniversary of Indian Independence JLF@London will look at ‘The Idea of India’ with eminent authors from India and the UK and will showcase South Asia’s multilingual literary heritage, oral and performing arts, books and ideas, dialogue and debate, Bollywood and politics in the context of this broader view of India and its relationship to the UK. The festival’s partnership with the British Library places the legacy of Magna Carta, and its influence on the Indian constitution, at the centre of discussions and debates at ZEE Jaipur Literature Festival. The British Library is loaning a facsimile of the 1215 Magna Carta to be displayed on site at the Diggi Palace during the Festival and Claire Breay, Head of Ancient, Medieval and Early Modern Manuscripts at the British Library joins a panel to discuss justice. The Magna Carta established the “rule of law” in England in 1215 after 25 barons forced the then King of England King John to agree to follow an agreed form of justice. Now over 800 years old the ancient document is celebrated for establishing the primacy of the “rule of law” in the functioning of a society, and is often cited as the original source of Article 21 of the Constitution of India – “No person shall be deprived of his life or personal liberty except according to procedure established by law”. 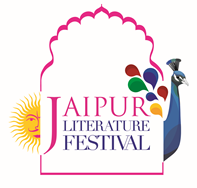 ZEE Jaipur Literature Festival will explore the concept of justice and the “rule of law” in relation to India today. Teamwork Arts produces one of the world’s largest free literary gatherings, the annual ZEEJaipur Literature Festival, the Ishara International Puppet Festival in New Delhi, the annual Mahindra Excellence in Theatre Awards (META) and Festival, international festivals Shared History in South Africa, Eye on India in the United States of America, India by the Bay in Hong Kong, Confluence- Festival of India in Australia, and many more.